Over a week ago, a colleague called to let me know that our advisor, Harvard Prof. J. Richard Hackman, had passed. For months, I knew that this news would eventually come, but it’s still painful to accept. 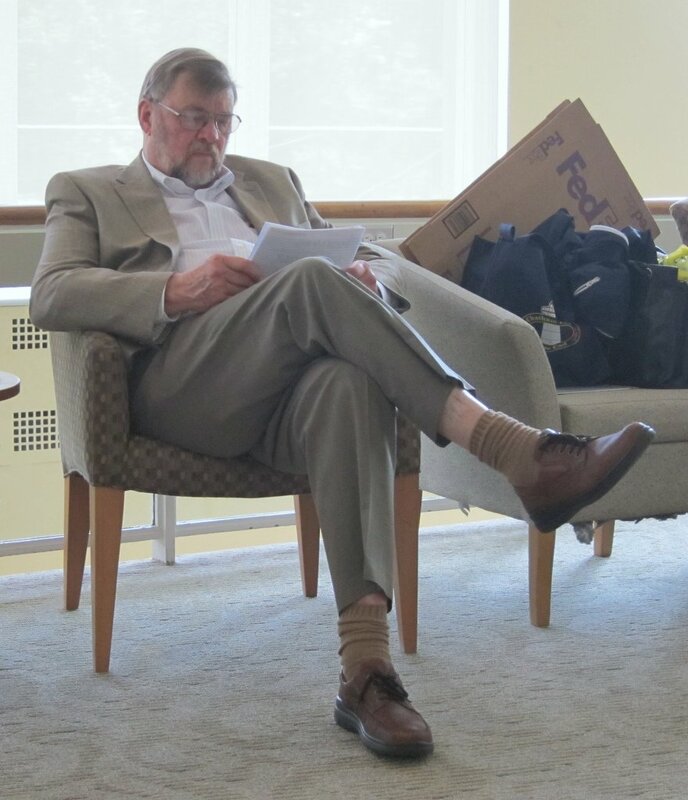 I will miss hearing Richard’s booming voice, having my eyeglasses crushed to my face from a bear hug (Richard was well over 6 feet tall), or being gleefully gifted with a funny hand-written note imparting his sage advice on a matter. Richard was a greatly respected work redesign and teams researcher. At Harvard, his classes included a highly regular and popular (despite its “early” morning time slot) course on teamwork. For those undergraduate and graduate students who have been lucky enough to take Richard’s course on teams, the course interweaves concept and practice as students must work in teams, something that most of us get very little practice with outside of organized sports or music. In July 2012, Richard emailed several of his former teaching fellows asking us to join him in Cambridge and help him rework this course. On short notice, we assembled at the top floor of William James Hall and went over the materials, with Richard expertly leading us as a team, with clearly designated boundaries (those of us assembled for the task), a compelling direction (revising the material to attract students across disciplines), enabling structure (norms that valued contributions of team members, no matter their place in the academic hierarchy), and a supportive context (reward = tasty food, an incentive that always works on former graduate students, and good fellowship). During this last meeting, Richard asked us about how we thought his course on teamwork could most impact individuals. I opined that his biggest impact wouldn’t be through just the students who took his course, but via those of us who would continue to teach teamwork and conduct research in other settings. This question may have been Richard’s gentle way of telling us that he was passing on the baton. Here are several ways that I think Richard’s legacy lives on. From teaching with Richard, I learned how to do a schedule grid of lectures/readings and intermix exercises with lectures. In particular, I have found his mutual self- and peer-grading useful for groupwork (see my modified example GroupProcessSurveysample). The last tool not only helps students who are concerned about the pitfalls of groupwork (i.e., free-riding), but also helps them reflect on their experience, rather than just scapegoating a group member. As a mentor, Richard was very supportive of researchers such as myself who chose to study unconventional organizational sites. In part, Richard had a soft spot for us “outliers,” as he himself researched seemingly unusual organizations like the Orpheus conductorless orchestra, airline crews, and intelligence teams. He also understood that such “extremes” could teach us organizing possibilities that the “average” or mainstream organizations could not. During a time when colleagues in his disciplinary field became increasingly specialized, Richard continued to span disciplinary boundaries, skillfully incorporating the best of disciplines. For example, Richard wasn’t shy about borrowing from sociology to underscore how beliefs about ideal leaders are constructed. 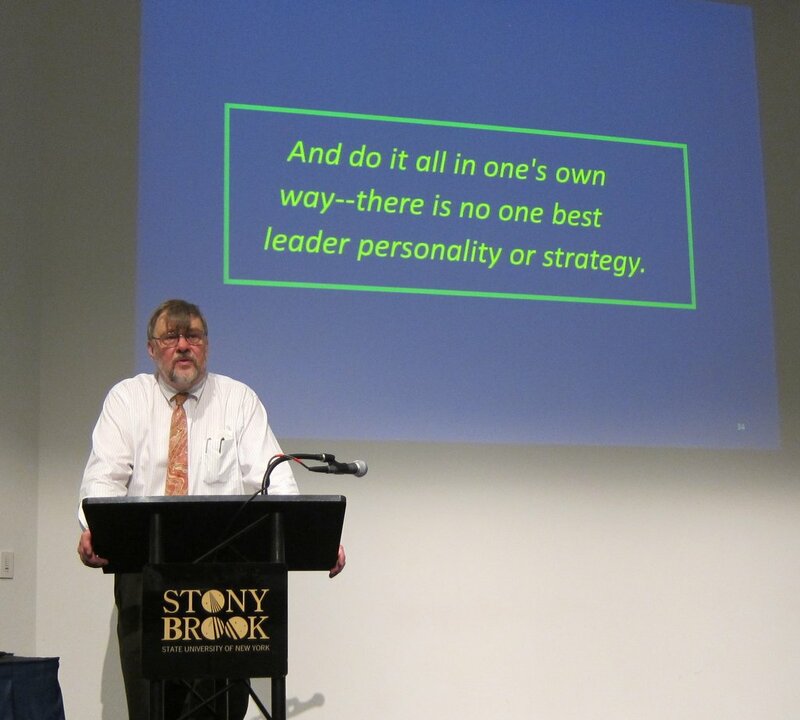 At the same time, he drew on psychology to demonstrate how to put conditions in place to encourage teams to gel and cultivate leadership – but following one’s own path to leadership. In addition, Richard shared tools on how to get through the research process. When I got stuck figuring out what exactly was my research about after some time in the field, Richard had me dictate aloud what I thought could be appropriate framing questions as he wrote these ideas down on a sheet of paper. Then he showed the list to me, assuaging my fears that the research was too messy to handle, and I used this list to narrow down my focus. Richard also refused to meet about research unless he got a written document in advance – a very effective tool for managing time. I still use these tools of the trade to help myself and others climb out from research ruts. Richard would not pull the punches if he thought these would help your work improve. I still remember these examples of feedback: (1) a “this is too hand-wavy” accompanied by a flopping hand gesture as he pointed to a particularly ambiguous section of a page, (2) a “yuck!” comment scrawled in the margin next to a flabby section of a chapter, and (3) having a ruler lightly applied to the knuckles, Catholic-nun-style, for not properly summarizing a colleague’s work. At the time, that feedback stung (literally), but after several years of working “on the other side” as a professor, I now understand that many will avoid making comments (or give false positive feedback) to smooth over relations, avoid making waves, or worse yet, shirk their responsibility of contributing to the commons. Throughout his career, Richard was not only a charismatic teacher and supportive mentor, but also an active researcher who worked tirelessly in the field to hone findings that could be applied. I regularly teach Richard’s Leading Teams book, as it is one of the few well-researched texts that actually helps readers understand how-to-organize in an unfamiliar way. Richard’s clearly written how-tos offer a refreshing balance to the numbing “how-not-tos” that characterizes some branches of organizational studies. Richard practiced what he taught with an unerring sense of compassion and morality. Throughout his writings, he has emphasized how managers must do all they can to support and enable members, even if this means taking creative and unorthodox actions, such as converting a prize intended for an individual into something that can be shared with all team members. (In contrast, most managerial texts discuss how to extract as much as one can from the workers.) When I once came to his office for a meeting, I could see that he was greatly displeased by an on-going phone conversation. After urging a resolution on the phone, he hung up and explained that an administrator had neglected to complete a task for a grant application, placing a post-doc’s position at risk. He was taking steps to rectify that, cognizant that a person’s livelihood was at stake. To me, his efforts personified how organizations are not nameless, faceless, responsibility-less entities; instead, they live through the actions of their constituent individuals. On a regular basis, I think back to our conversation when I was a graduate student distressed about finding my place in the world. He asserted that one’s work must be meaningful and give back to society. By sharing and embodying this exhortation, Richard’s legacy is his continuing influence upon and through others. Harvard Center for Public Leadership. Contribute or read memories of Richard here. This is a lovely tribute Katherine. Thanks for bringing Richard’s work to all of our attention. This is a thoughtful tribute. I learned a great deal.